Auf den folgenden Seiten finden Sie einen Ausschnitt aus der Fülle der Literatur zur Bioenergetischen Analyse. Einzelne Artikel finden Sie kostenlos im Downloadbereich. Neue Lebensenergie. Ein körperorientiertes Übungsprogramm für 28 Tage, mit online verfügbarer Audioanleitung, Psychosozialverlag Gießen 2017. Bäurle, R. (1988): Körpertypen. Simon und Leitner. Schwieger, C. H.-J. (1998): Charakter als Überlebensstrategie. München, Kösel. Bertschi, H. (2003): Retrospektive Evaluationsstudie der Wirksamkeit Bioenergetischer Analyse und Therapie. Lizentiatsarbeit Universität Basel. Gudat, U. (1997): Bioenergetische Analyse als ambulante Psychotherapie. Anwendungsbereiche und Wirkungen. Psychotherapie Forum 5, S. 28 – 37. Koemeda-Lutz, M.,Kaschke, Revenstorf, M. Scherrmann, T. Weiss, H. und Soeder, U. (2003): Zwischenergebnisse zur Wirksamkeit von ambulanten Körperpsychotherapien. Eine Multicenter-Studie in Deutschland und der Schweiz. In: Psychotherapie Forum 11, S. 70–79. Ventling, C.D. und Gerhard, U. 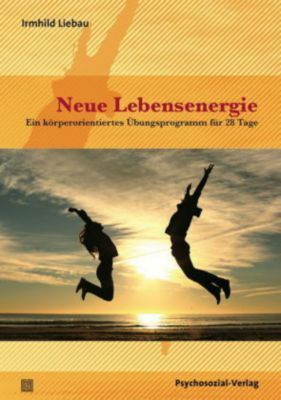 (2000): Zur Wirksamkeit bioenergetischer Psychotherapien und Stabilität des Therapieresultats. Eine retrospektive Untersuchung. In: Psychotherapeut 45, S. 230–236. Eckberg, M. (1999): Case Study of a Survivor of Political Torture. Bioenergetic Analysis. The Clinical Journal of the International Institute for Bioenergetic Analysis 10 (1), 53–71. Gomes, M.G. (2000): Isabelle’s Therapeutic Process. Bioenergetic Analysis. The Clinical Journal of the International Institute for Bioenergetic Analysis 11 (2), 91–109. Klopstech, A. (1993): Sexual Abuse: The Body Remembers Even When the Mind Does Not. In: Bioenergetic Analysis. The Clinical Journal of the International Institute for Bioenergetic Analysis, 5 (2), S. 36–44. Koemeda-Lutz, M. (2000): Mit dem Kopf durch die Wand. Ein Fallbericht. In: Intra 42, S. 36–43. Laschinsky, D. (1998): Working with Sexually Abused People: How to Discover and Deal with these Clients. Bioenergetic Analysis. The Clinical Journal of the International Institute for Bioenergetic Analysis 9 (1), S. 71–82. Lewis, R. (2000): Trauma and the Body. 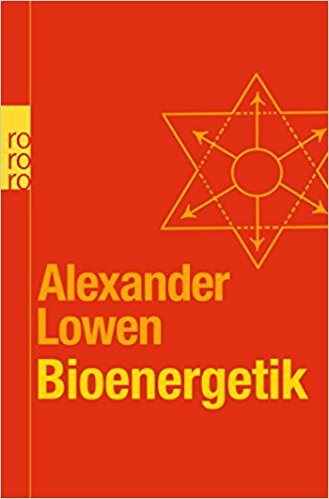 In: Bioenergetic Analysis. The Clinical Journal of the International Institute for Bioenergetic Analysis 11 (2), S. 61–75. Lewis, R. (1998): The Trauma of Cephalic Shock. Clinical Case Study in Which a Portuguese Man-of-War Faces the Jaws of Death and Thereby Reclaims His Bodily Self (his heart and soul). In: Bioenergetic Analysis. The Clinical Journal of the International Institute for Bioenergetic Analysis 9 (1), 1–18. Mayo, L. (1988/90): The Abused Child Grows Up and Walks Into Our Office. 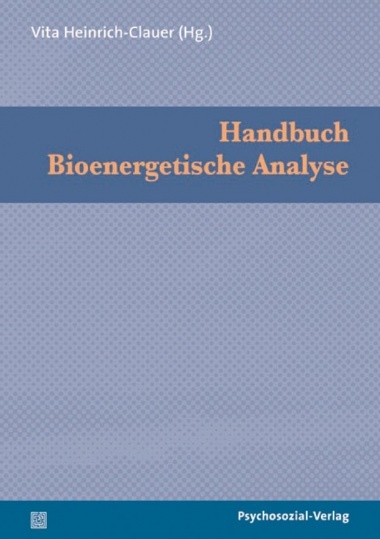 In: Bioenergetic Analysis. The Clinical Journal of the International Institute for Bioenergetic Analysis 3 (2), S. 90–105. Ventling, C.D. (2004): Health-threatening Bulimia nervosa and a Promising New Treatment Approach. In: The USA Body Psychotherapy Journal 3 (2), S. 82–100. Hofer-Moser, O. (2002): The Existential Spiritual Dimension in the Therapy of a Cancer Patient. In: Ventling, C.D. (Ed.) Body Psychotherapy in Progressive and Chronic Disorders. Karger, Basel, S. 83–107. Mahr, R. (2002): Bioenergetic Therapy of a HIV-Positive Client. Throwing the Therapist Off Balance. In: Ventling, C.D. (Ed.) Body Psychotherapy in Progressive and Chronic Disorders. Karger, Basel, S. 71–82. Ventling, C.D. (2002): Atypical Terminal Cancer. A Case Report. In: Ventling, C.D. (Ed.) Body Psychotherapy in Progressive and Chronic Disorders. Karger, Basel, S. 108–120. Halsen, A.W. (1992): Bioenergetic Work with Children: Experiences in a Child Psychiatric Unit. Bioenergetic Analysis. The Clinical Journal of the International Institute for Bioenergetic Analysis 5 (1), S. 30–44. Mahr, R. (2001): Traumatised Children: A Challenge for the Bioenergetic Therapist. In: Ventling, C.D. (Ed.) Childhood Psychotherapy – a Bioenergetic Approach. Karger, Basel, S. 70–82. Robert-Ouvray, S.B. (2001): Douglas, or the Paralysing Effect of Sensory Overstimulation. In: Ventling, C.D. (Ed.) Childhood Psychotherapy – a Bioenergetic Approach. Karger, Basel, S. 53–69. Schroeter, V. (2001): Improving Bonding using Bioenergetics and Sensory Assessments: A Clinical Case Report. In: Ventling, C.D. (Ed.) Childhood Psychotherapy – a Bioenergetic Approach. Karger, Basel, S. 19–22.